As far as men you want guiding your ship through a period of transition, Luis Enrique has experience. The new Spain manager doesn't just accept it, he embraces it. It’s not a difficult or scary process of changing habits by repetitive action for him, it’s a challenge. “I finished a cycle [with Real Madrid] that I respect until June and then I start another one,” he said just before he switched Real Madrid for Barcelona in the mid-90’s. As the manager of Barcelona, he was tasked with washing away the remnants of Pep Guardiola's almost perfect style. The best team in the world that Pep Guardiola had bestowed on the football world had proven to be a curse for Barcelona because no manager that came in could be as perfect as the one who went before; because no other manager was Pep. If Jurgen Klopp was right and Guardiola’s football was like an orchestra, Luis Enrique threw some punk into the playlist with his snarky style and disregard for what anyone said outside his inner sanctum. He has a similar job on his hands with Spain. It was no coincidence that Pep’s Barcelona appeared at the same time as Luis Aragones’ and Vicente del Bosque’s Spain sides. They dominated the ball while they hoovered up honours. Julen Lopetegui was meant to transition Spain out of that epoch and into a more realistic model, but we all know how that ended. It did seem to be working when it was working but while the Real Madrid manager was chipping away with hammer and chisel, Luis Rubiales contracted a bulldozer to do the same job in a fraction of the time. 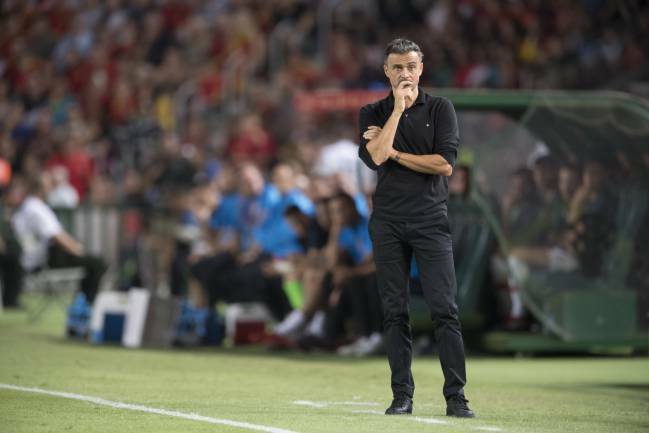 Will Luis Enrique really change Spain though or will it be a changing of the narrative that the new Spain boss does successfully. Because a lot of how Spain play will not be down to them. Luis Enrique's message of evolution and not revolution is fitting. But it's not Spain who are doing the evolving. 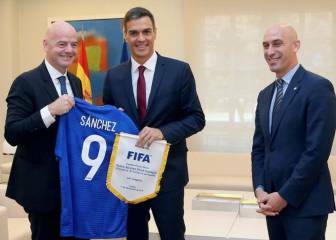 It's everyone around them that’s changing, getting better, looking forward, and most importantly, forgetting the past; which is a good thing for Spain. From 2008 until 2014, they were the very best team in the world. Even other top teams sat back and defended deep against them as a default setting. But after two World Cup failures and another Euros that was as mediocre as possible, other teams don't see Spain as a threat anymore. England, at Wembley on Saturday, pressed high at times and left space at the back. Something that would have been considered suicidal six, or even four years ago until the Netherlands exploited their weaknesses, tore right through their heart and ruined their hopes of a second World Cup in a row. International football had turned into a knife fight and Spain arrived to do battle with plastic spoons. Against Croatia, Dani Carvajal found himself looking out onto open spaces like a newly-crowned king surveying his kingdom; the possibilities were endless. That said, the new manager adds new facets to the styles of all the managers who went before him. When Jose Mourinho was trying to end Pep Guardiola's hegemony over Spanish football, he kept drilling into his player's head that the 'pelotazo' was an option - a quick, incisive longer variation of the short pass that had invaded European football thanks to the Spanish. Many of the players in his squad from Spain and those who weren’t but were watching the merits falling at the feet of their rivals in the northeast, were thought to think of the ball as something you caressed, cared for, kept close to you and didn't give up unless the only other option was sure defeat. Luis Enrique will do the same with a sprinkle of physicality and the kind of fresh hope brought in by new players. It comes at a perfect time too. 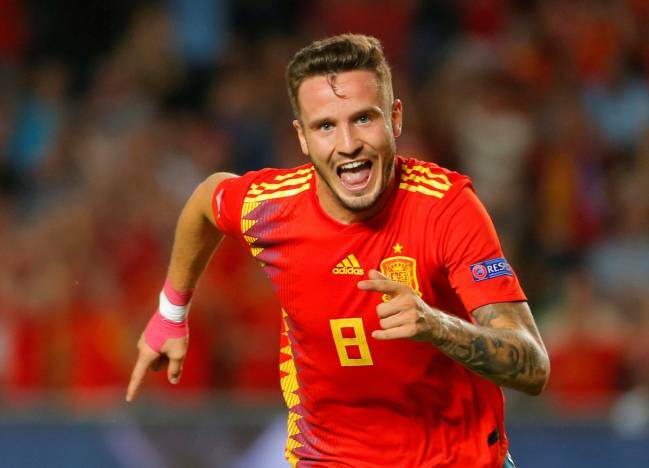 Just when players like Andres Iniesta and David Silva have ended their illustrious careers for Spain, in come players like Saul Niguez, a hard-running, hard-hitting midfielder who relies as much on his athleticism as he does on his exquisite technique and timed runs into the area. And just at the time Marco Asensio, another player who is as powerful as he is precise on the ball, looks like he is about to become one of the world’s best footballers. But what's important is the message. Luis Enrique is changing the narrative. So often, it's the image people have of you that is what's most important; the lad who has a reputation as an early riser, for example, can lay in bed all day. By changing how teams speak about Spain, their biases intrude and all of a sudden game plans change and the perception is of a more dangerous beast; a sleek, preying leopard as opposed to his domestic brethren as they were seen. There has been a conscious effort to restore order to a football federation that looked more like the end scene of a Shakespearean tragedy with all of the sub-plots and backstabbing at the World Cup. Now, though, there is order. Luis Enrique will not reinvent the game of football but he can change how teams approach Spain. 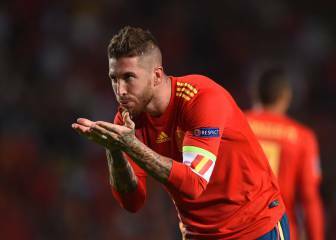 Where there once was a fear of being overwhelmed by the sheer weight of their possession and sideways passing, Spain will beat you on and off the ball now, when you are expecting it and when you expect it least. They’ve always had these weapons in their armoury, and they have adapted their mechanisms to survive and thrive. That's partly evolution and partly what others teams let them do.